Awhile back, a client hired me to design a room for her baby son. She was open to lots of looks for the space, but they all had to incorporate one thing: a navy crib. The crib manufacturer showed it in rather bright surroundings, lots of white and reds. That was all fine and good. Patriotic, even. But I wanted to try something subtler. I came up with one solution for the walls that surprised her, and me too, actually: gray. One doesn't tend to think of doing a kid's room in gray. 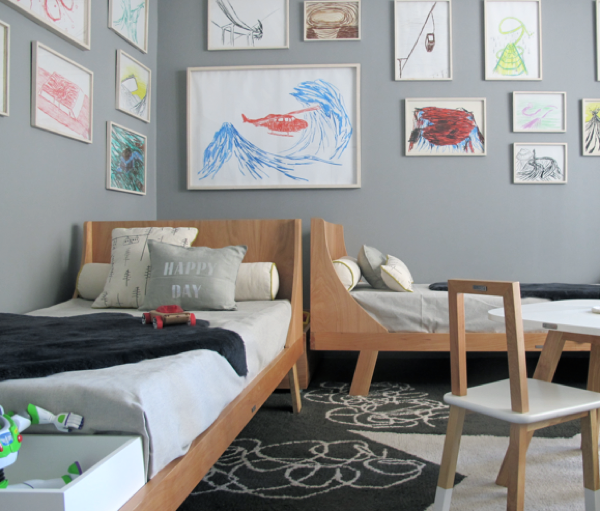 Kids rooms are fun, sprightly places, and that doesn't exactly describe gray. But gray is actually a great neutral. It's more unusual than white, and colors really pop against it, which makes it ideal for a kid's space. Dubious? Check these out. Alternatively, it's also ideal if you want a space that's a bit more serene. 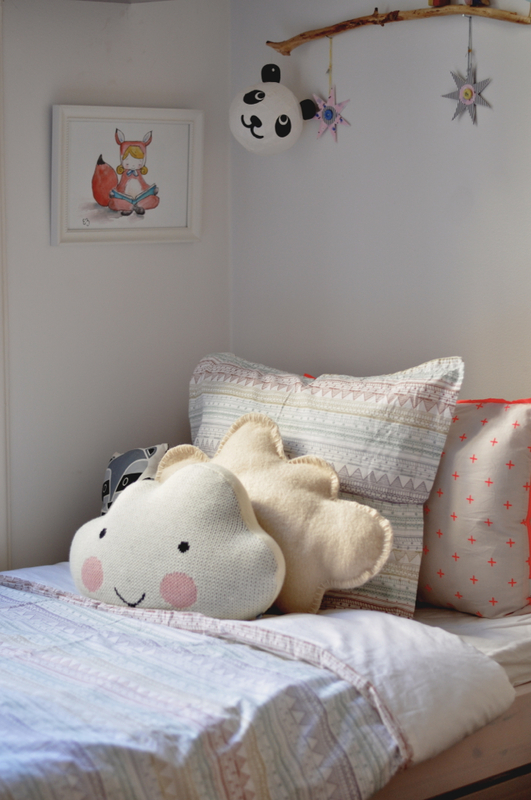 Just make it youthful through the stuff of childhood: sweet textiles and bright toys. 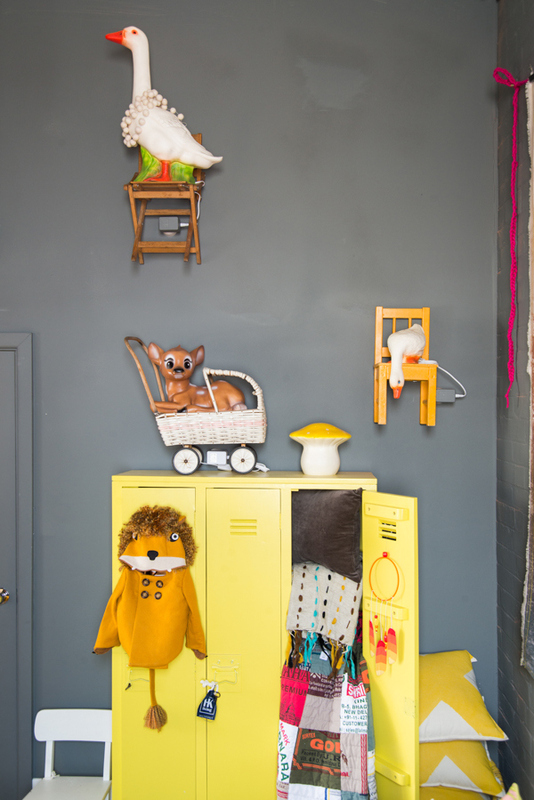 So don't knock gray off your list when designing a room for kids. It will work when they're young; it will work when they're older. It just plain works. And you won't tire of it either. Can't ask much more of a color than that!